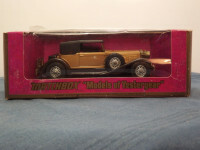 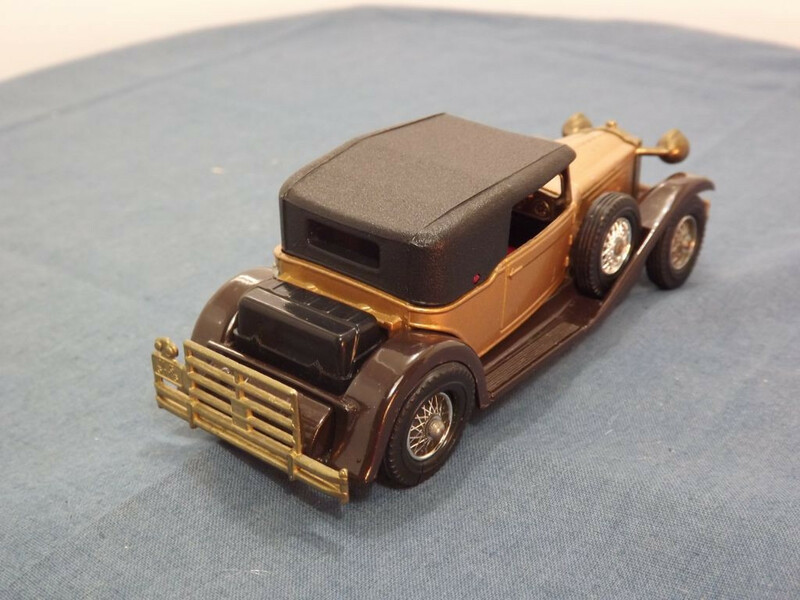 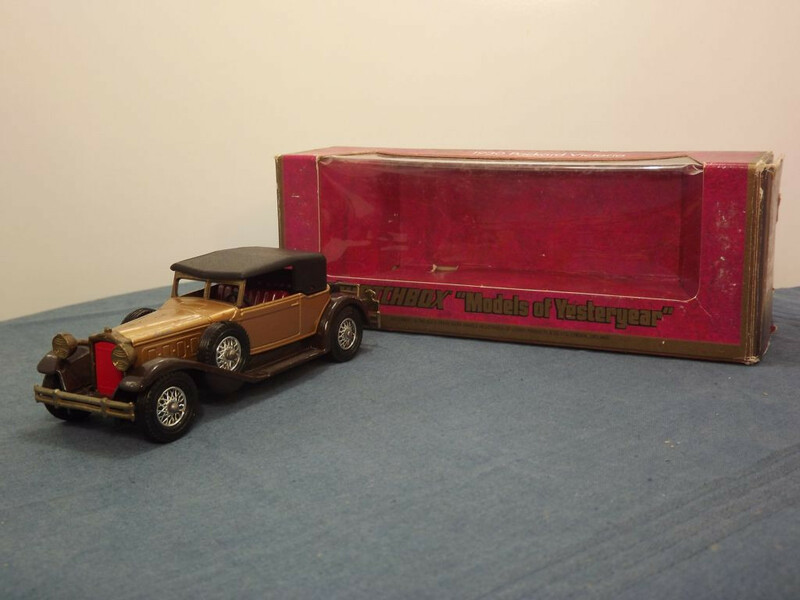 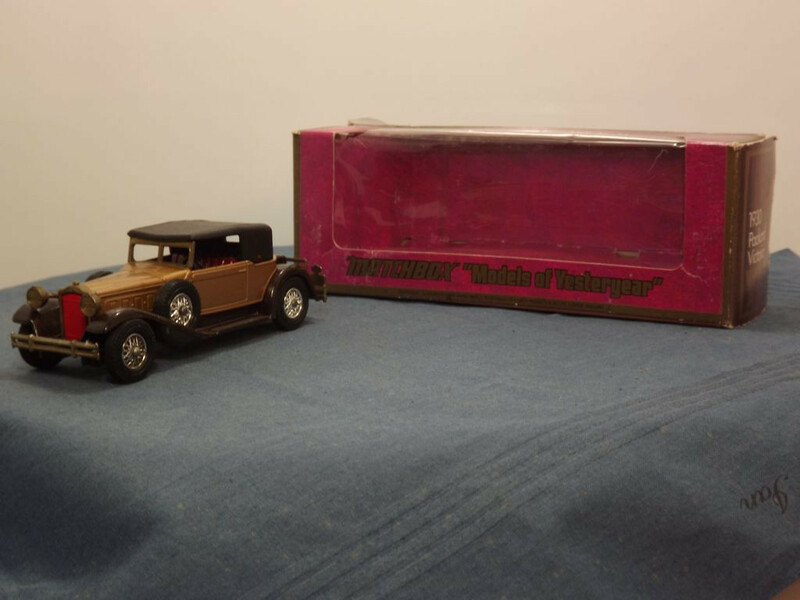 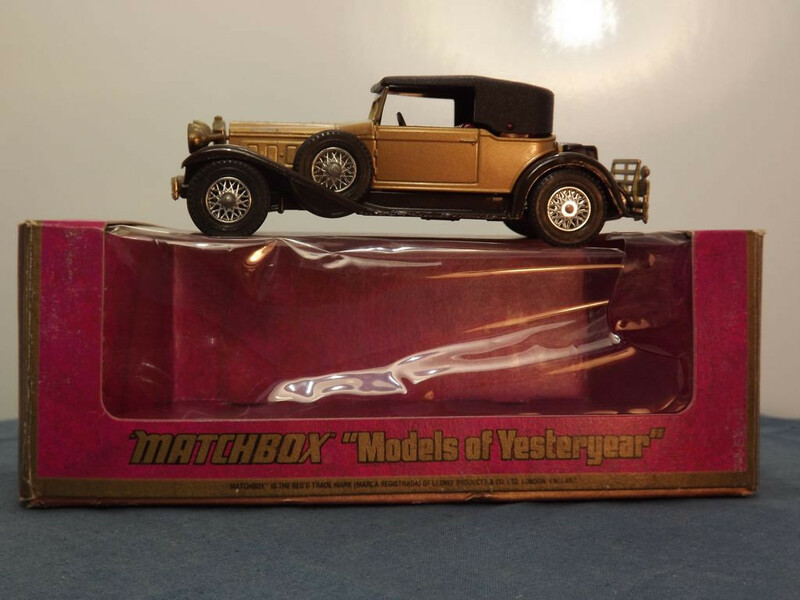 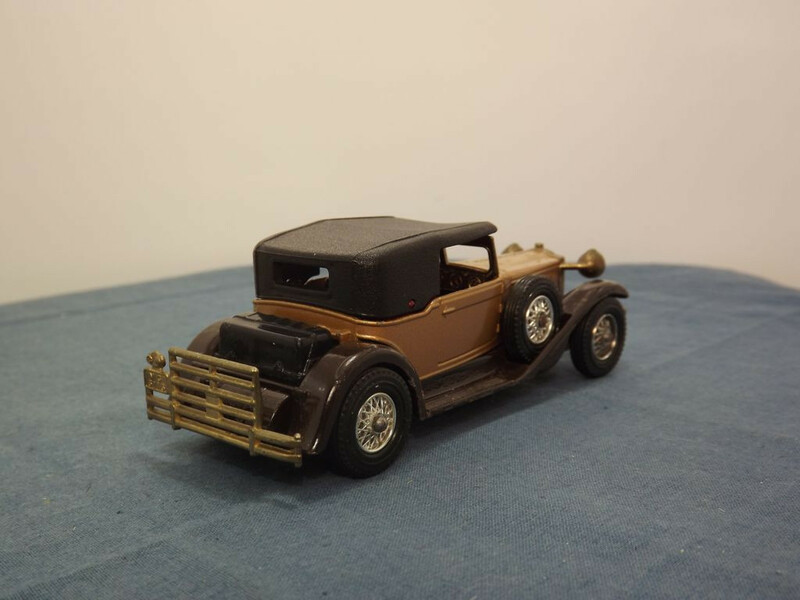 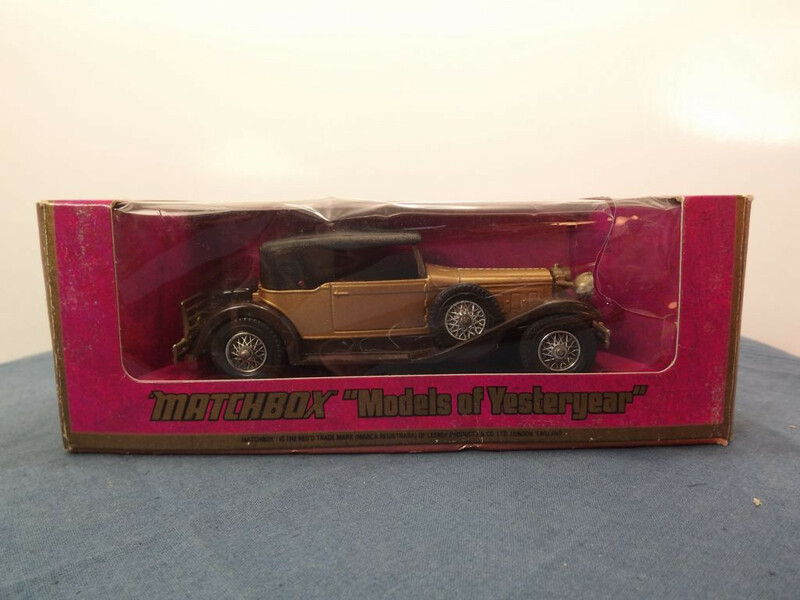 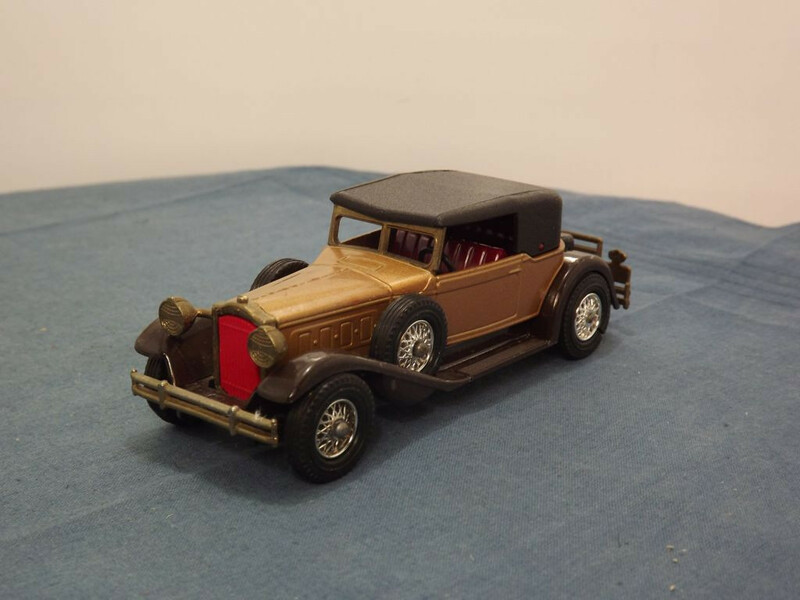 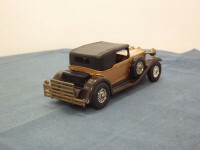 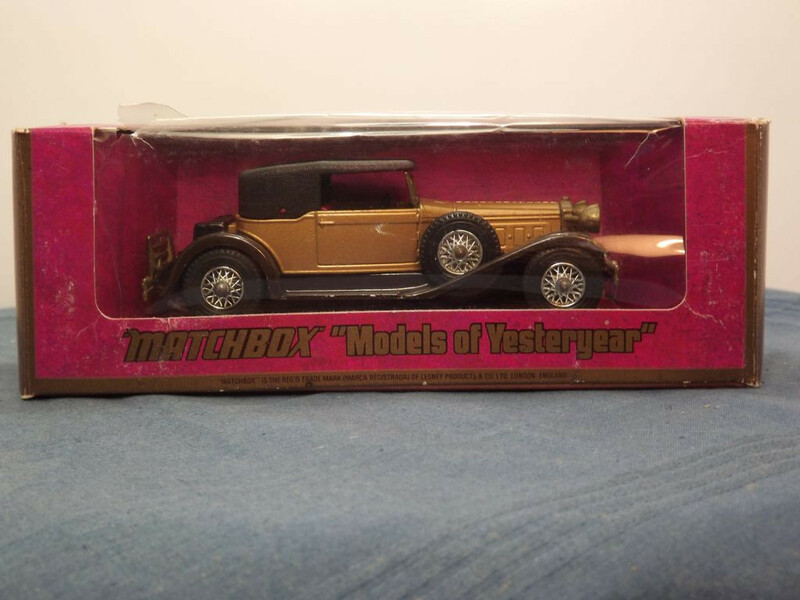 This model is the Matchbox Yesteryear Packard Victoria (1930) in Glossy Lime Gold with Very Dark Brown chassis. 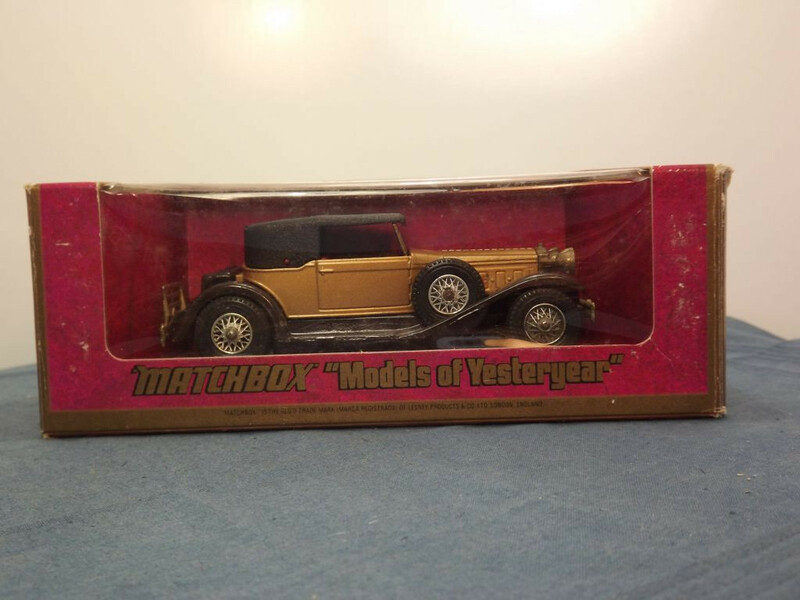 It comes packed in its original type H woodgrain box. 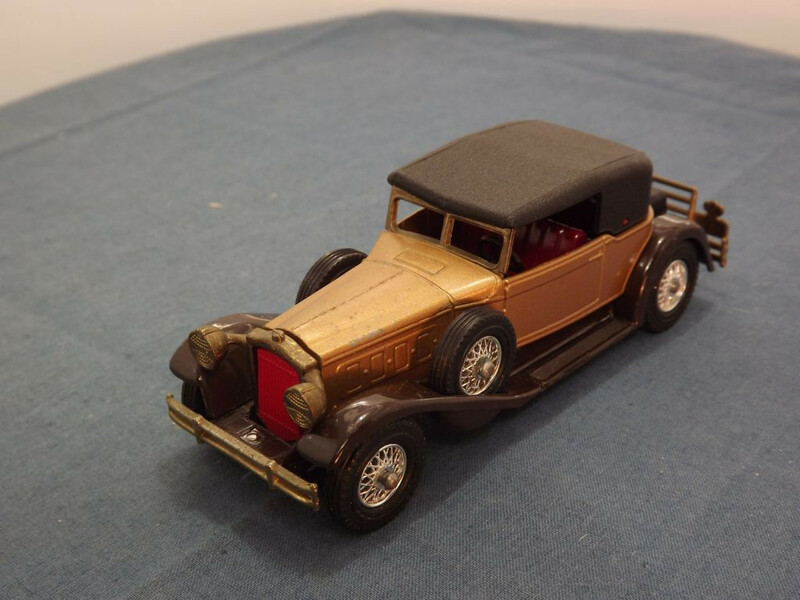 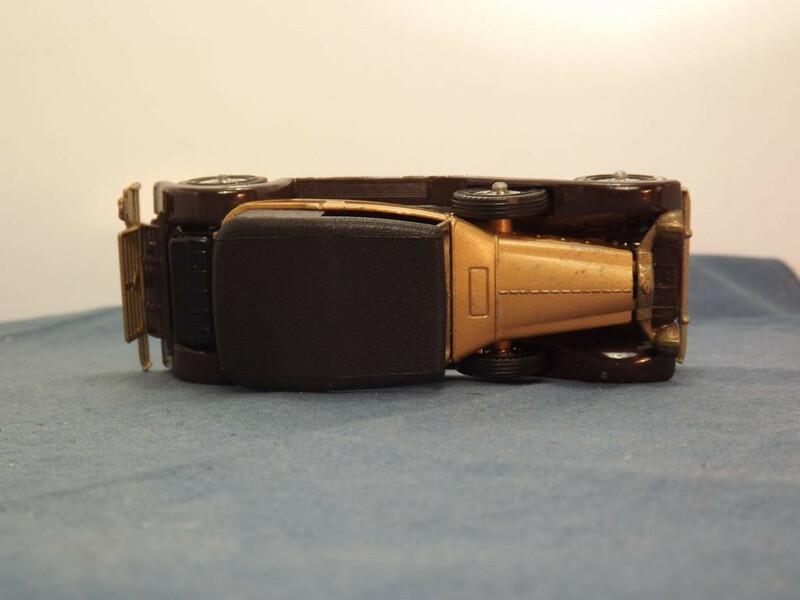 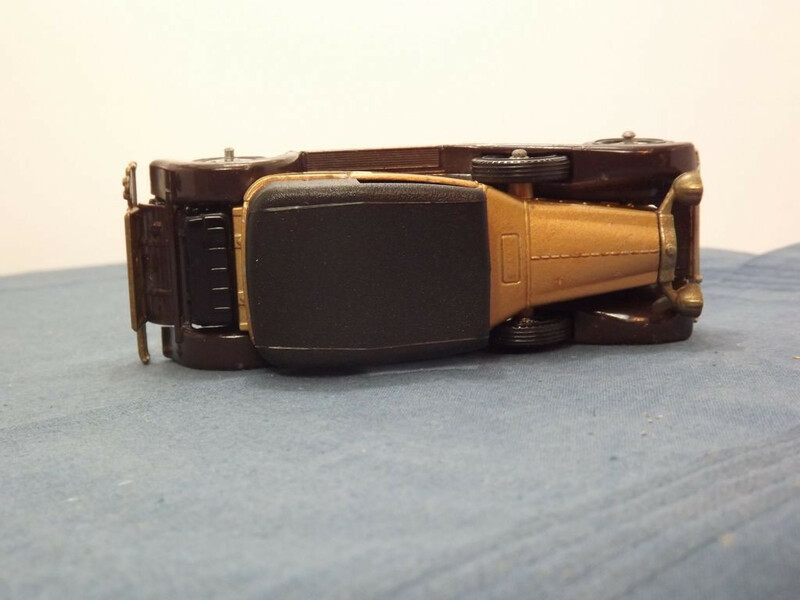 The model has a Glossy Lime Gold body while the chassis, running boards and wheel arches are all very dark brown. 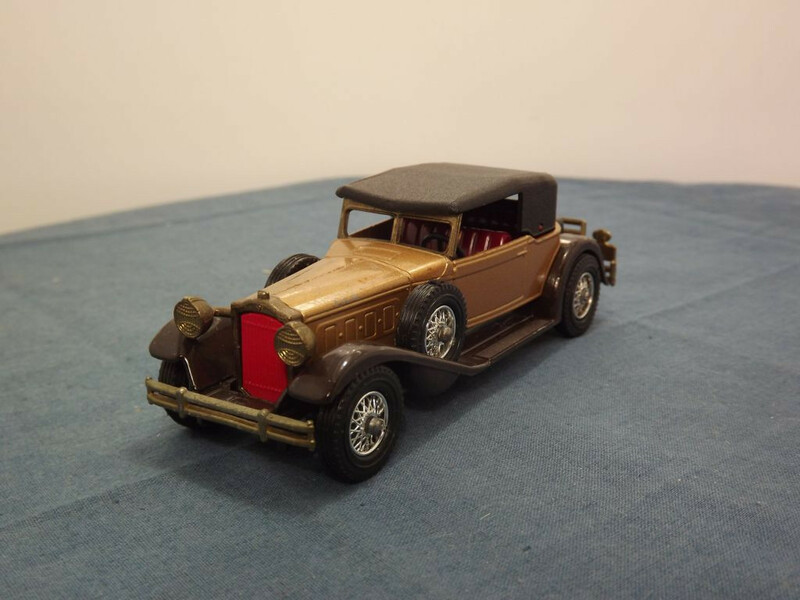 The interior is dark red and the hood is textured black plastic. 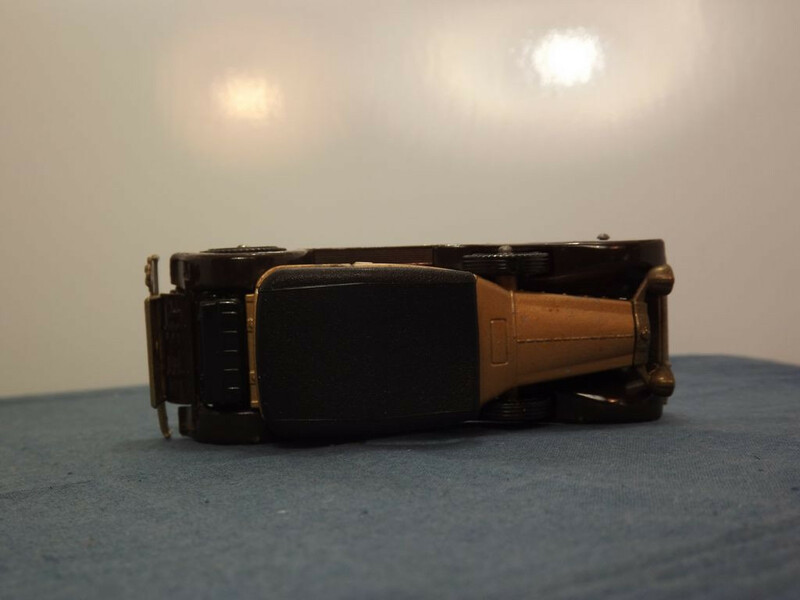 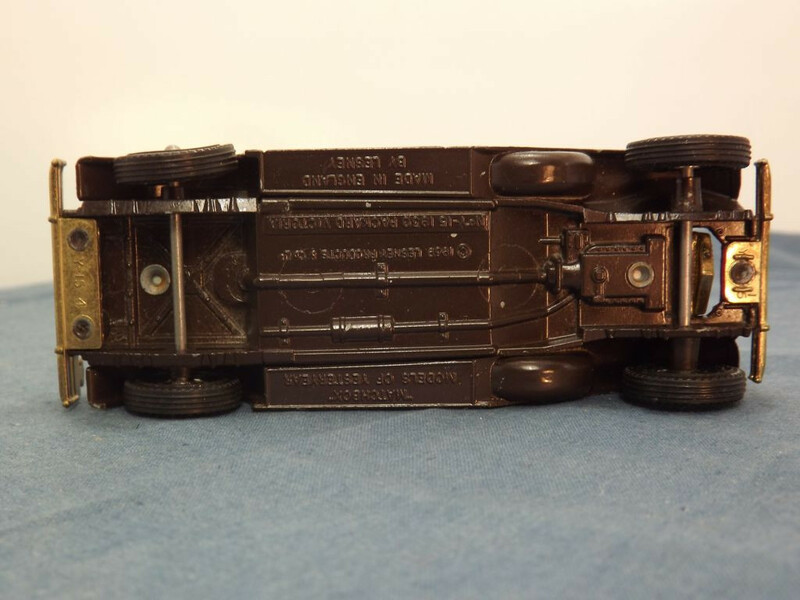 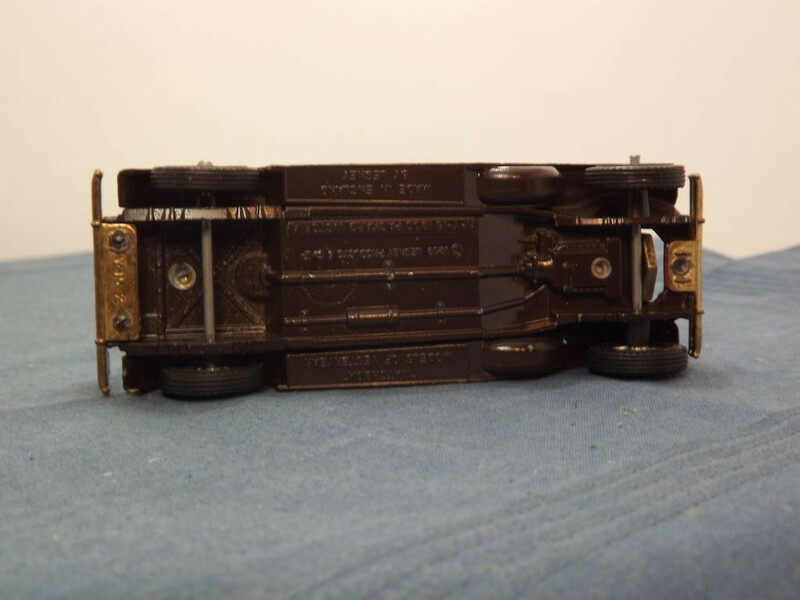 Other Comments/Identifying Features: The model has the textured black roof, black rear luggage trunk, type 2 steering wheel housing, a type "A" thin rear panel cast coachline and the rear axle supports are not cast on the baseplate. The baseplate is held in place with two machined rivets. 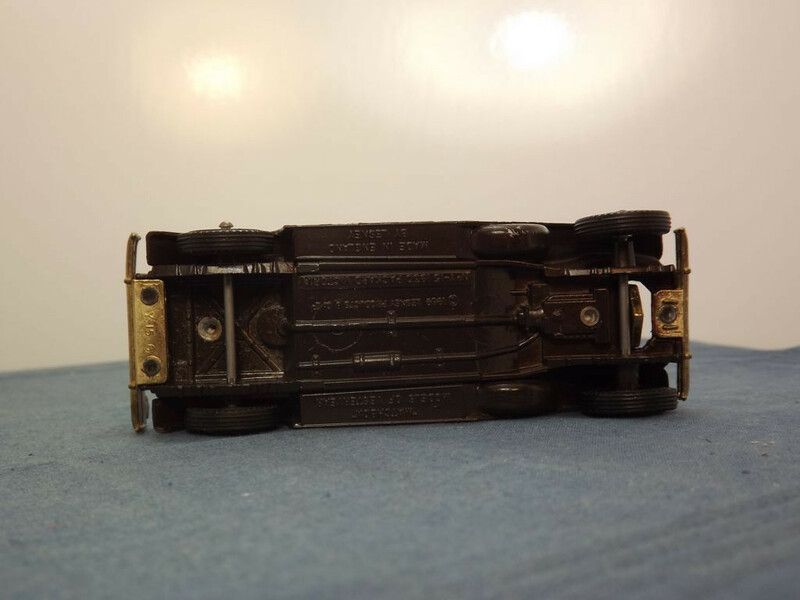 Issued between 1974 and 1979, with a stated scale of 1:46.